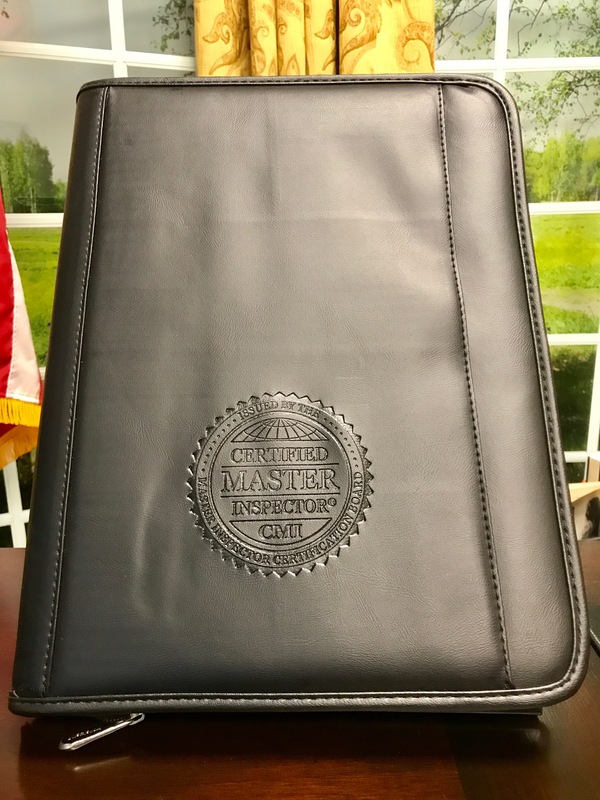 The Certified Master Inspector® Padfolio features a 1” 3-ring binder and is made of modern, supple durahyde. 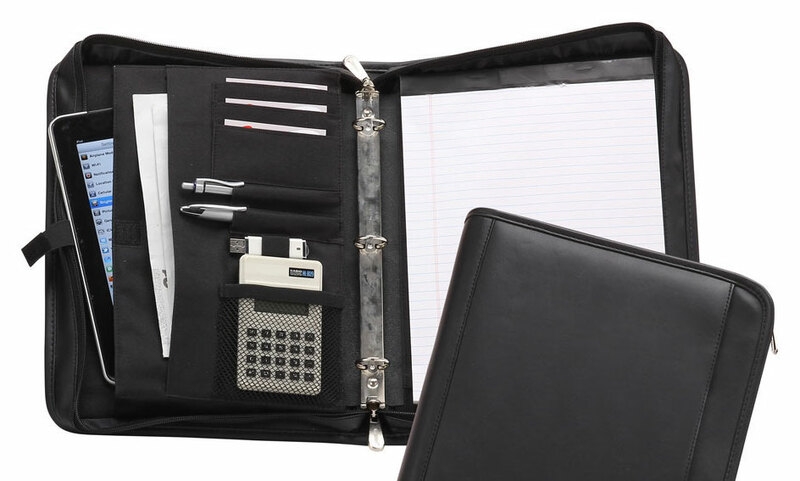 Inside the zippered Certified Master Inspector® Padfolio is a padded open pocket for your inspection tablet, an open pocket for documents, 4 home inspection business card pockets, 2 pen loops, & a mesh pocket. It comes with a memo pad which can be inserted on either from top or bottom for right or left hand users. The front is embossed with the Certified Master Inspector® logo.